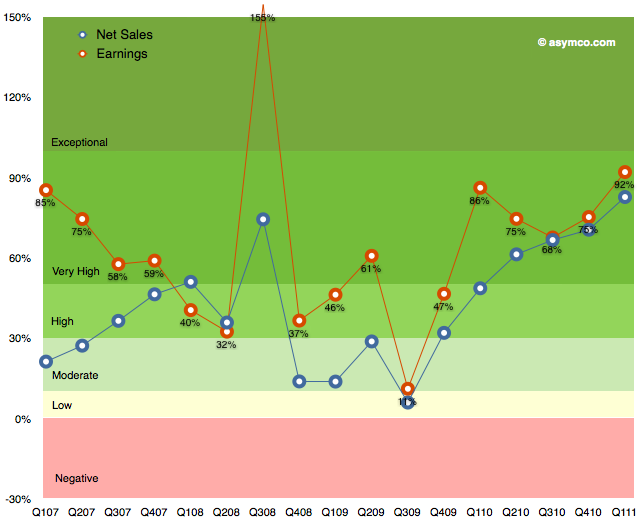 The following chart shows Apple’s growth for net sales and earnings over the last few years. I’ve used a grading system with color coding to show bands of growth. It’s easy to become de-sensitized to the scope of these numbers, but it bears repeating: the growth has been steadily increasing since 2009. These abstractions in growth can also be shown in a direct “before-and-after” view of the income statement. This latter view gives an idea of how much bigger the company’s business is now vs. a year ago. 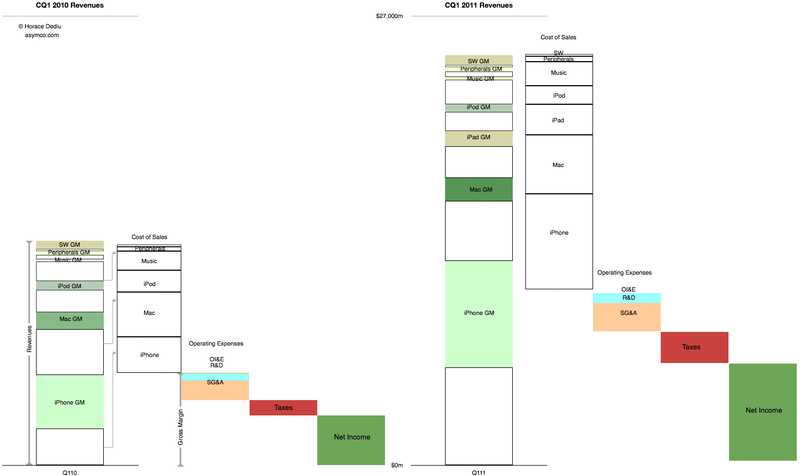 Not just on the revenues but also the cost of these revenues and what is retained.